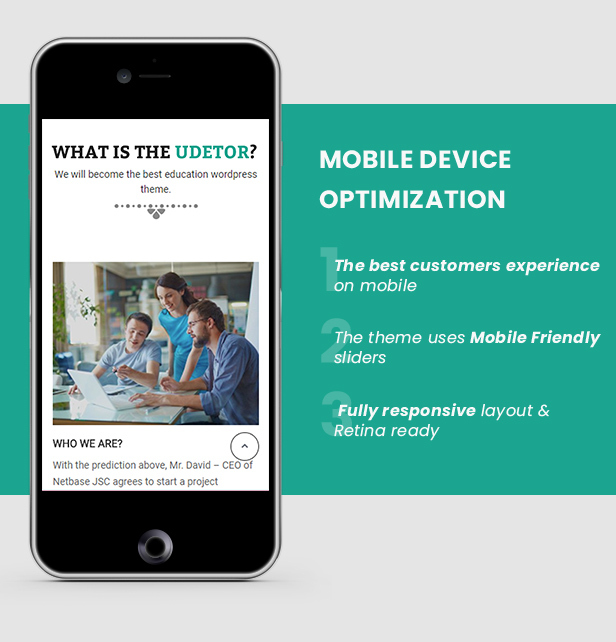 Udetor â€“ LMS Education WordPress Theme is designed to process the full and perfect â€“ similar to a high-end technology product. Udetor has been fully designed from learner needs, business purpose training. Then, to meet the powerful features and features, Udetorâ€™s sitemap system has been built with over 300 pages of functionality. Since then all of the Udetor interface components have been explicitly categorized, allowing for the rapid development of a variety of training site systems. â€¢ 5 groups of learners, educators, educators and developers are studied â€¢ A sitemap system with over 300 pages of functionality â€¢ Rich set of interface components with 19 headers, 20 sliders, 10 homepage types â€¢ 2880 hours working with 39,600 lines of optimized code Udetor Standard: Udetor is a specially designed based on UX/UI standard for all kinds of complete e-learning education service; it is not just a normal WordPress Theme. You will find the high quality in the Udetor interface that cost thousands of dollars. One important thing in this theme is the training premium features of the LMS Learn dash â€“ the #1 plugin on education field. It gives users more conveniences in learning as well as training experience. Udetor Online Learning: The design of this theme is a result of the survey of over 200 people and over 10 different learning and training fields to determine the type of site for online learning and training. Tests and statistics have been made on the popular online training system. Learners can study on any device at any time. Udetor offers powerful solutions for anyone to build an easy-made training website Udetor Academy: This fantastic theme is designed for all schools and education Academy. Become an author for earning money is so easy with some clicks on the Udetor theme. It helps you create your courses, projects, lab notebooks, and other learning materials for Online Market or Your Students. Design interactive learning experiences that map to your curriculum and class level. Add photo galleries with captions and images that students can pan and zoom in to. Drag and drop video, historic speeches, music, touch, and better understand concepts. And students can use Member Account, Author to create their own books, reports, lab guides, and field trip logs. Udetor One Instructor: This is an amazing theme is suitable for an instructor who has many courses with various subjects. If you or your customer are an experienced instructor, this theme is exactly you are looking for. Udetor One Course: Learners have many choices about instructors; therefore, this is a great theme which designed for an agency where hundreds of talent instructors work. Modern design with creative home layout will never let your learners down. Udetor Language center: You are going to open a language center but you donâ€™t know how to get started. Do not worry because this theme is exactly what you are finding. Standard UX & UI design will bring your customers great learning experience. We have an Outsourcing Project Department that supports all partners around the global. If you need to hire a team or set up a full fishing online business or do any customization, please feel free to contact us at project@netbaseteam.com to discuss further. 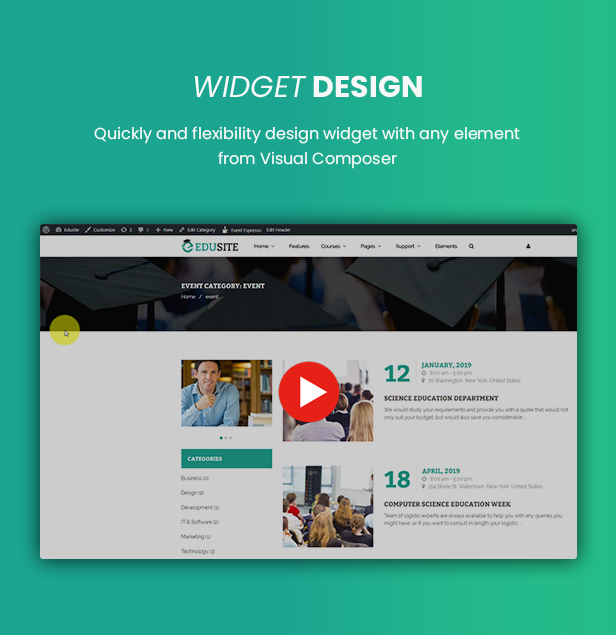 Udetor â€“ Premium LMS Education WordPress Theme is designed to process the full and perfect â€“ similar to a high-end technology product. Udetor has been fully designed from learner needs, business purpose training. Then, to meet the powerful features and features, Udetorâ€™s sitemap system has been built with over 300 pages of functionality. Since then all of the Udetor interface components have been explicitly categorized, allowing for the rapid development of a variety of training site systems. Whenever you need to create an education website, you need a turn-key learning management system (LMS) to manage your courses, lessons, users and even membership. There are a few solutions available for WordPress and LearnDash is the best one (and the most popular one)(see why here and here). 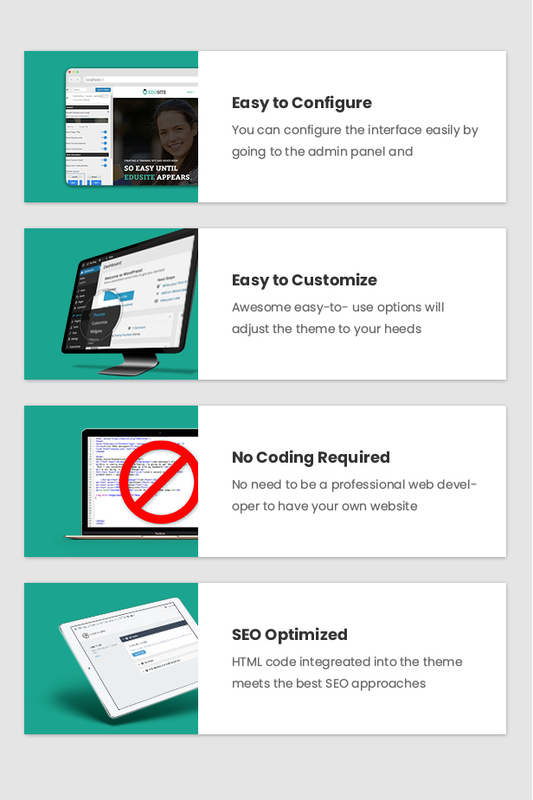 Itâ€™s simply the most feature rich WordPress LMS! IMPORTANT: Because of the LearnDash Terms and Conditions, our theme does NOT include LearnDash in the download package. You must buy the plugin on their page separately. Udetor Standard: Udetor is a specially designed based on UX/UI standard for all kinds of complete e-learning education service; it is not just a normal WordPress Theme. You will find the high quality in the Udetor interface that cost thousands of dollars. One important thing in this theme is the training premium features of the LMS Learn dash â€“ the #1 plugin on education field. It gives users more conveniences in learning as well as training experience. Udetor Online Learning: The design of this theme is a result of the survey of over 200 people and over 10 different learning and training fields to determine the type of site for online learning and training. Tests and statistics have been made on the popular online training system. Learners can study on any device at any time. Udetor offers powerful solutions for anyone to build an easy-made training website Udetor Academy: This fantastic theme is designed for all schools and education Academy. Become an author for earning money is so easy with some clicks on the Udetor theme. It helps you create your courses, projects, lab notebooks, and other learning materials for Online Market or Your Students. Design interactive learning experiences that map to your curriculum and class level. Add photo galleries with captions and images that students can pan and zoom in to. 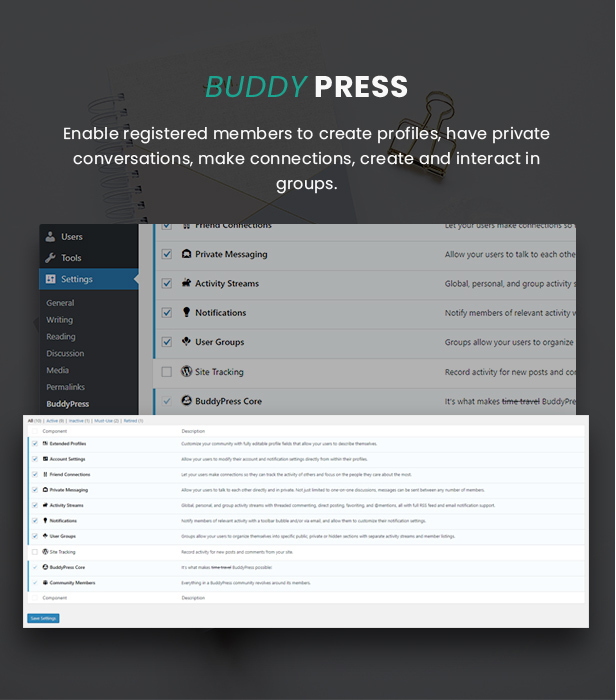 Drag and drop video, historic speeches, music, touch, and better understand concepts. And students can use Member Account, Author to create their own books, reports, lab guides, and field trip logs.. Note: Please note that our package is not included a license key for â€œUltimate Addons for Visual Composerâ€ and â€œWPBakery Page Builderâ€. Step 2: Customers can select and compare multiple products together by clicking the â€œAdd to Compareâ€. Then if they want to view their products, click on the â€œCartâ€. Customers flexibly change the display styles to view the product as list or grid. Step 3: Choose â€œImport Demo Dataâ€ and click on â€œimportâ€ button to start your installation. 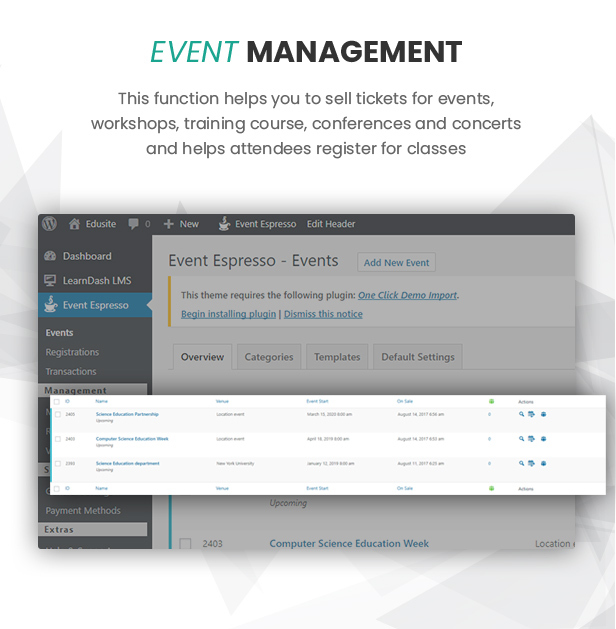 LearnDash LMS â€“ Event Espresso: You can associate your online courses to live events so that when users register, they are auto-enrolled. Frontend Course Creation: with the Front-end Course Creation Plugin, you can create a â€˜Course Authorâ€™ user with special privileges. A Course Author can create and manage courses, lessons, topics, and quizzes, right from the front-end! 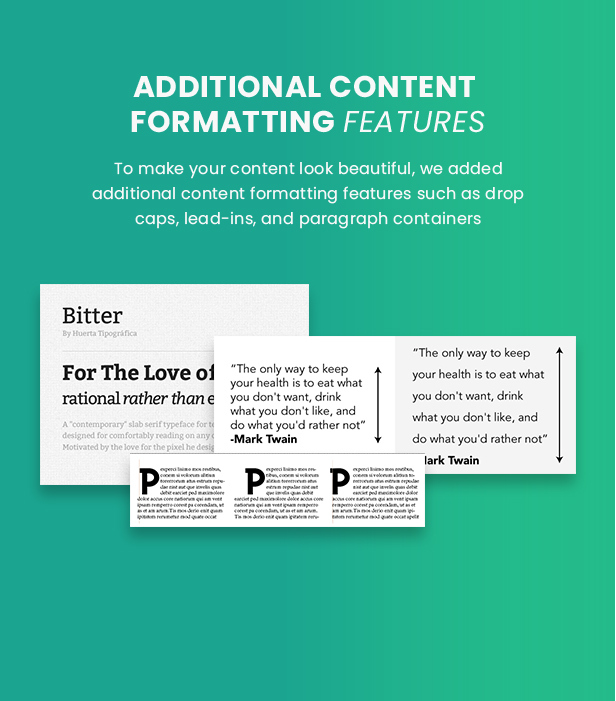 Additional content formatting features: To make your content look beautiful, we added additional content formatting features such asÂ drop caps, lead-ins, and paragraph containers. 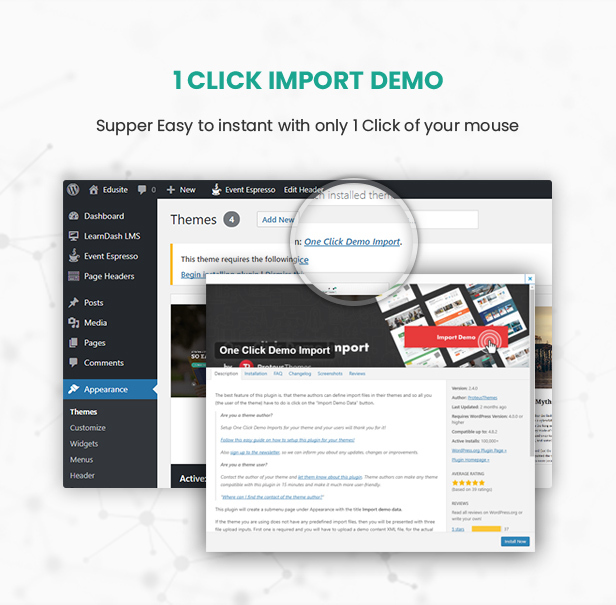 Intuitive Drag and Drop Interface:Â Lightweight, easy to use interface that you and your clients will love. Creating pages and posts is easier than ever. No programming knowledge required! Easily Extendable:Â Third party developers, please join the party! 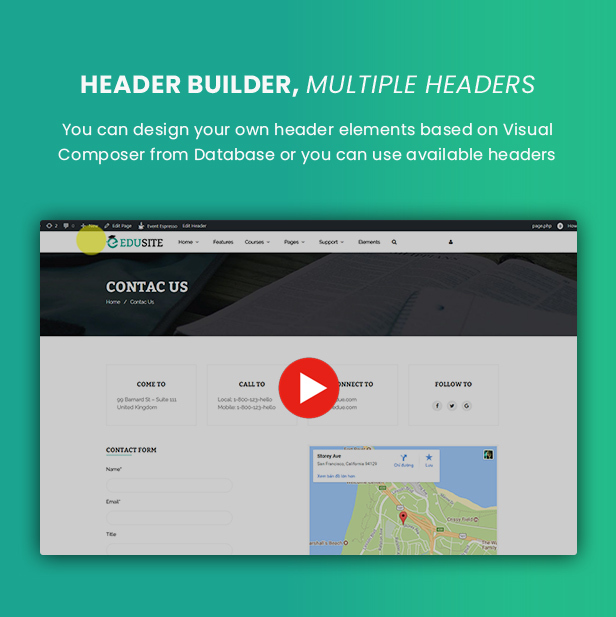 Create your own plugins for Visual Composer for your themes or for sale here on Code Canyon. Frontend Editor:Â Enjoy a â€œWhat You See Is What You Getâ€ page building experience with our amazing frontend editor. 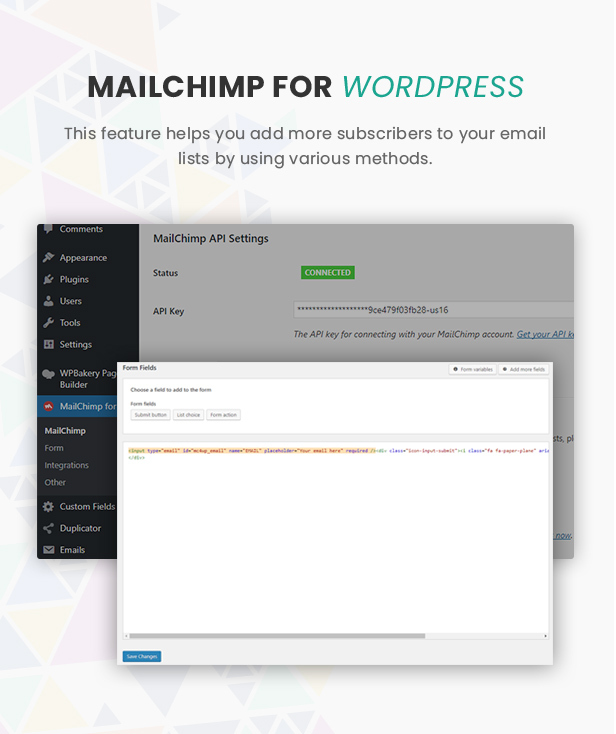 See how your content will look on the frontend, instantly, with no additional clicks or switches. Backend Editor:Â Prefer to work on backend? No problem! Visual Composer still supports native content management on the backend, with all the important functions and options at your fingertips. Object Oriented Code:Â Visual Composer uses the most advanced and most effective programming patterns, to get the best results for your site. Multilingual Ready:Â .po and .mo files included, for easy translation (BG, DE, ES, IR, FR, IT, JP, NL, PL, BR, RU, TW, and Arabic contributed by users). Template System and Library:Â Copy or re-use existing pages, save pages or parts of pages as templates. Set default templates for your post types. Access Template Library for free downloadable layout templates crafted by web design professionals and updated regularly. Responsive Design:Â Your content will look great on both desktop and mobile sites. Take full control over responsive design â€“ define column size, offsets and display options. Instantly check out how your content is displayed. 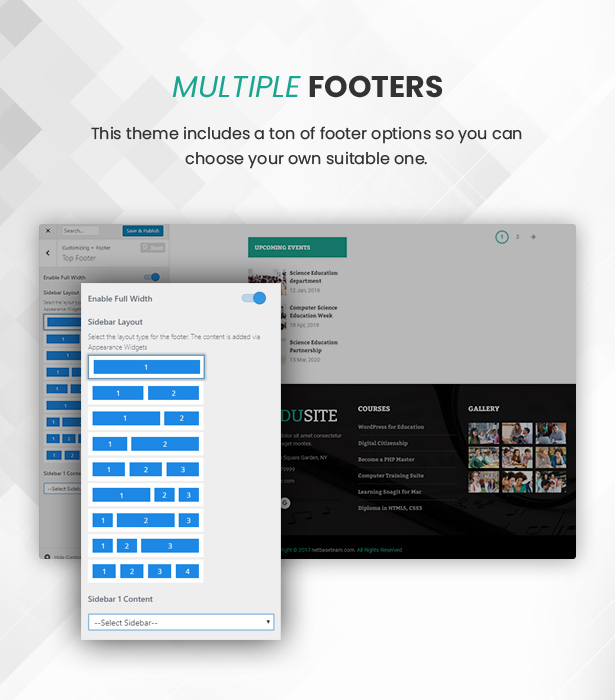 User Role Manager:Â Control user group role access to the features and options of Visual Composer, including drag & drop, templates, and elements â€“ manage WordPress default and custom roles. Custom Post Types Support:Â Works with any post typeâ€¦ Yes, even custom post types! Lifetime Update â€“ Free of Charge:Â We offer automatic updates, free of charge. Stay up to date with Visual Composer and receive our latest releases and enhancements. Professional Dedicated Support:Â Our high quality, dedicated support team is always on hand to help you out. Shortcode Mapper:Â No more shortcode copy/paste. Add any third party shortcode to the list of VC menu elements for re-use. Edit params, values and descriptions. Design Options:Â Control how elements look with new Design Options. Set borders, margins, paddings, border radius and background with a few simple clicks. Use color panel and alpha to enhance your design. Create up to date design solutions with ease. Multi-language Support:Â Visual Composer is compatible with qTranslate X, Polylang and powerful WPML. 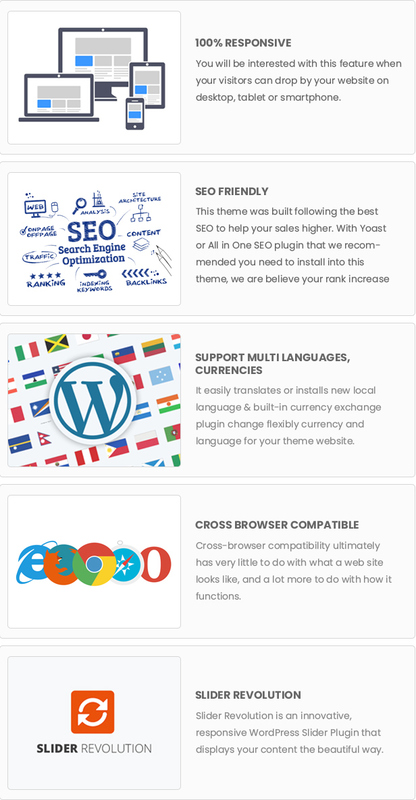 Build multi-language websites with Visual Composer. 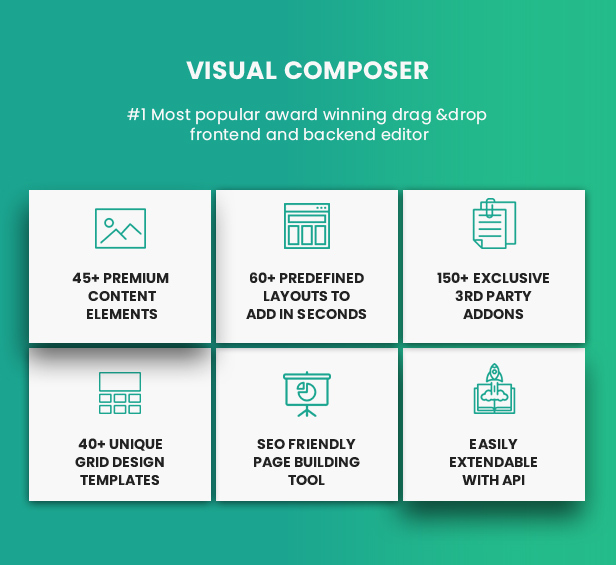 SEO Friendly:Â Visual Composer is fully compatible with most popular SEO plugins by Yoast. Make sure your page is getting the attention it deserves! Woo Commerce Support:Â Running a Woo Commerce powered e-shop? No problem. Visual Composer is fully compatible with Woo Commerce. 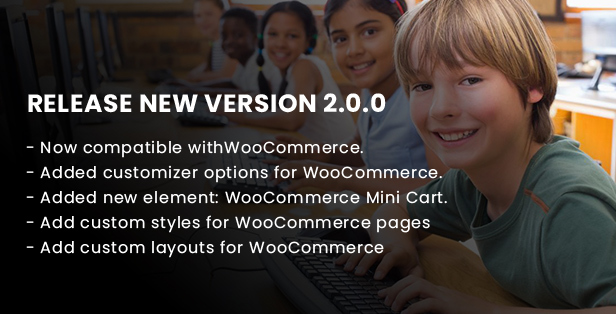 Even better â€“ all of the Woo Commerce shortcodes are now available in the Visual Composer Element Menu, once you have both plugins installed. 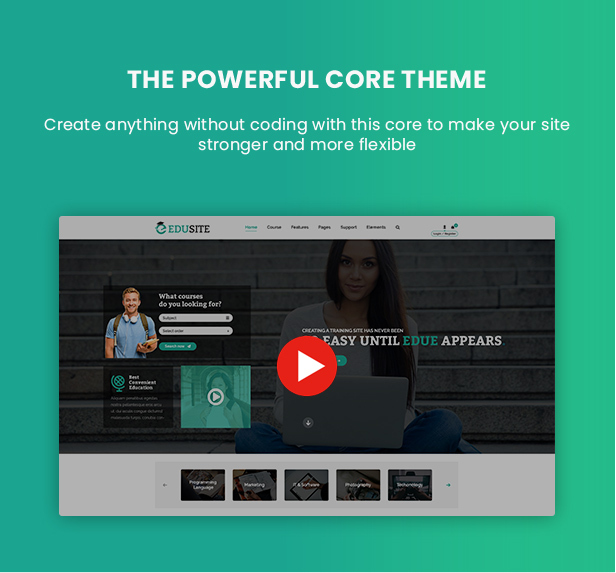 Advanced Grid Builder:Â Visual Composer has 40+ predefined grid templates for displaying posts, pages, custom post types and media, in grid or masonry grid. Donâ€™t like predefined templates? Create your own grid element using Grid Builder. 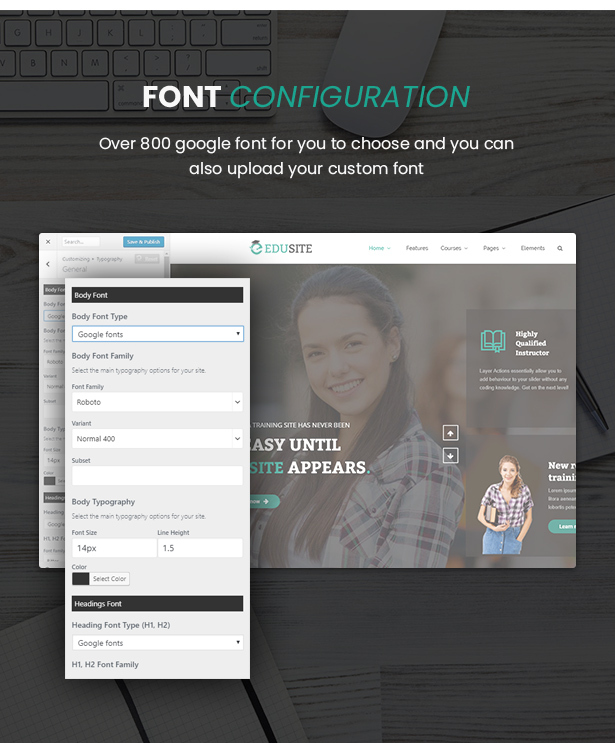 Full Width and Height Rows:Â Create full width and height rows with smart stretching options. Control stretching params â€“ stretch just the background, or background with content. Control element placement â€“ in the middle or on top. Build sections in seconds. Parallax Background for Rows and Columns:Â Add parallax style background to Visual Composer rows and columns. Combine Design Options, video and parallax background to create even more advanced layouts. 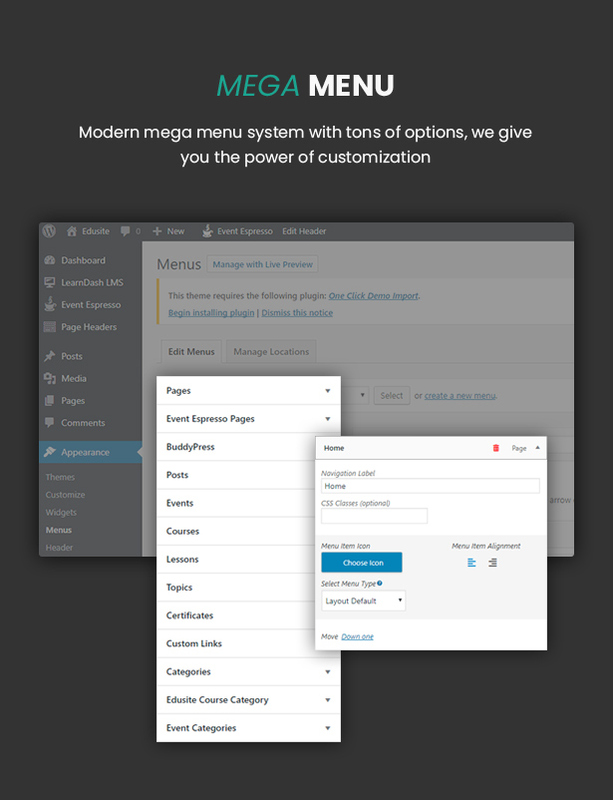 - Add new Mega menu. - Update elements: logo, menu, event. - Add new elements: tabs, comment, featured courses. - Update and add options for elements: testimonial, upcoming events, our team, heading, services. 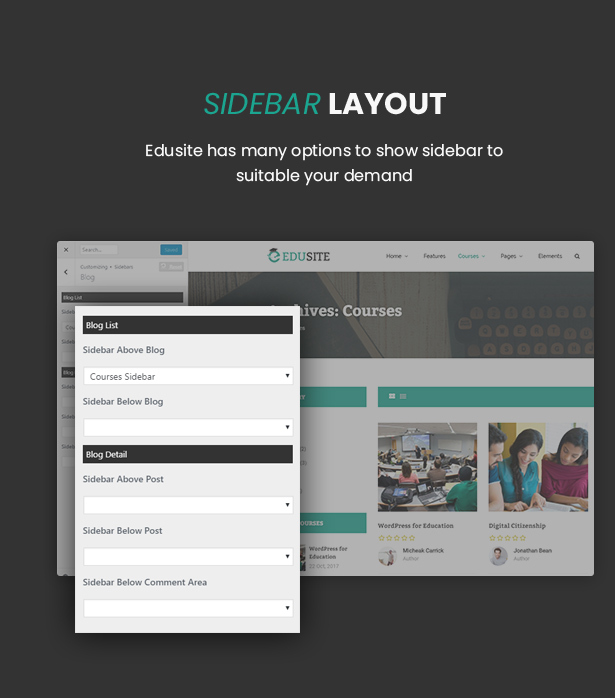 - Add new style for grid list courses.